Some time ago I discovered a brilliant way to start the week perfectly… eating pizza!! 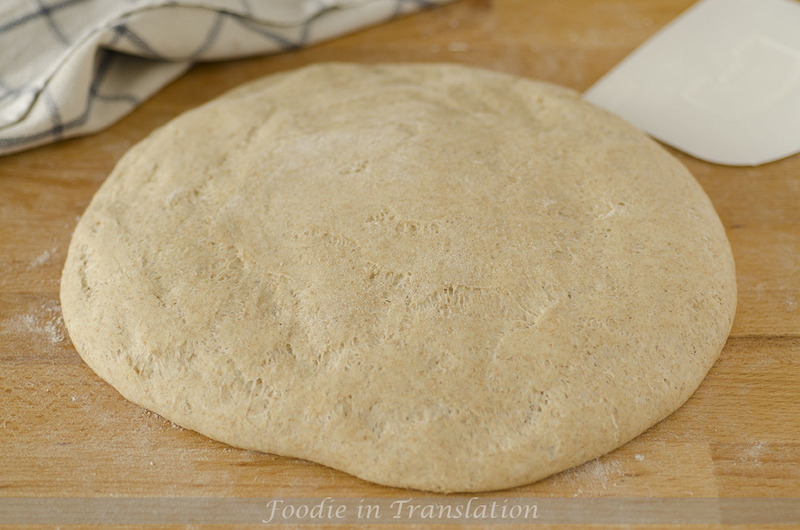 So, today we will make a whole-wheat pizza dough. But why pizza on Monday? Well, because pizza is one of those foods that makes the day better. I normally use the whole-wheat flour. I like this kind of flour, it is better for our health and it gives a characteristic flavour to the dough. Melt the yeast in some lukewarm water and let it rest for ten minutes, until it starts bubbling. 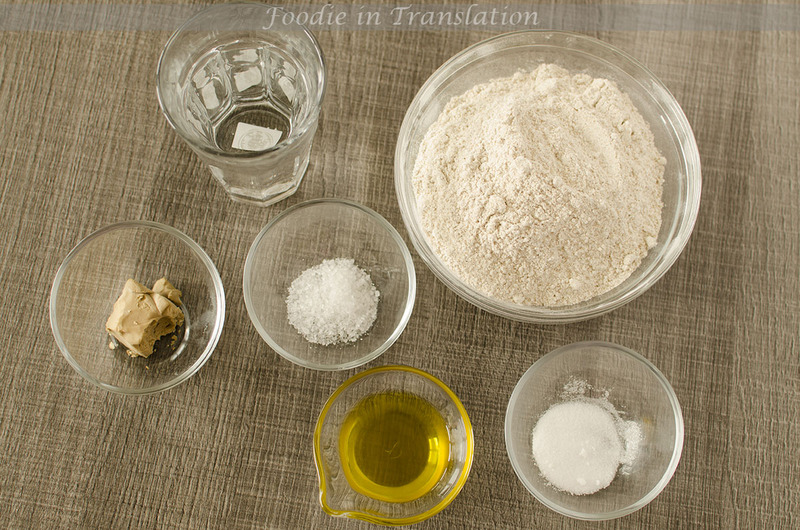 Put the whole-wheat flour, the activated yeast, the remaining water, olive oil, sugar and salt in a large bowl. Pay attention: the salt should never “touch” the yeast, otherwise the rise process could be compromised. 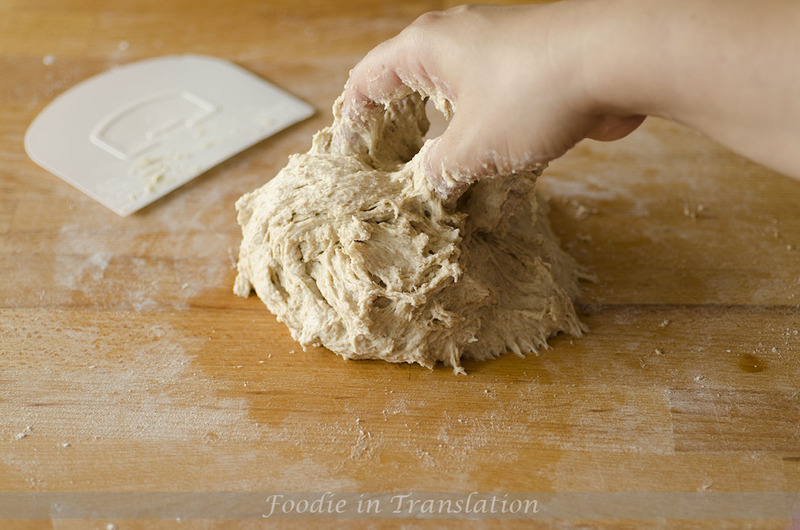 Stir together all the ingredients until you have a uniform dough. 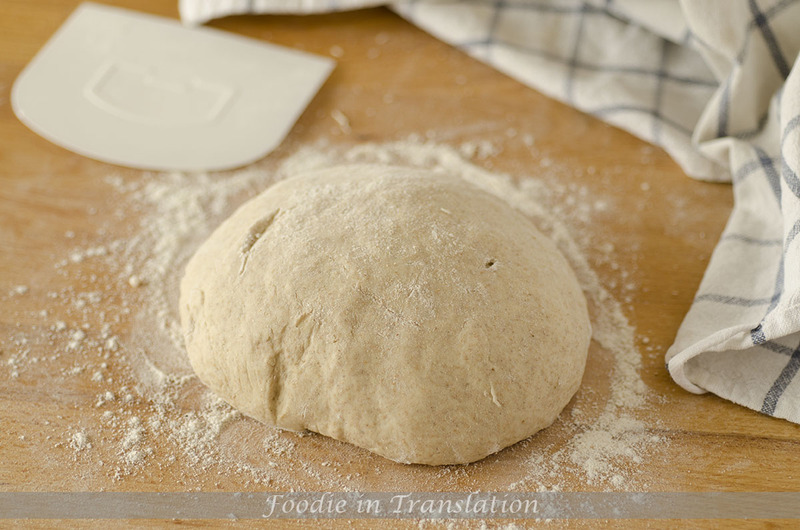 Move the dough on a wooden, flour-dusted surface and knead it for at least 10 minutes until it is smooth, soft and elastic. Put the dough back into the bowl, cover with a towel and let it rise in a warm and draft-free place until it has doubled (it could take 4 or 5 hours). The whole-wheat pizza dough is ready. 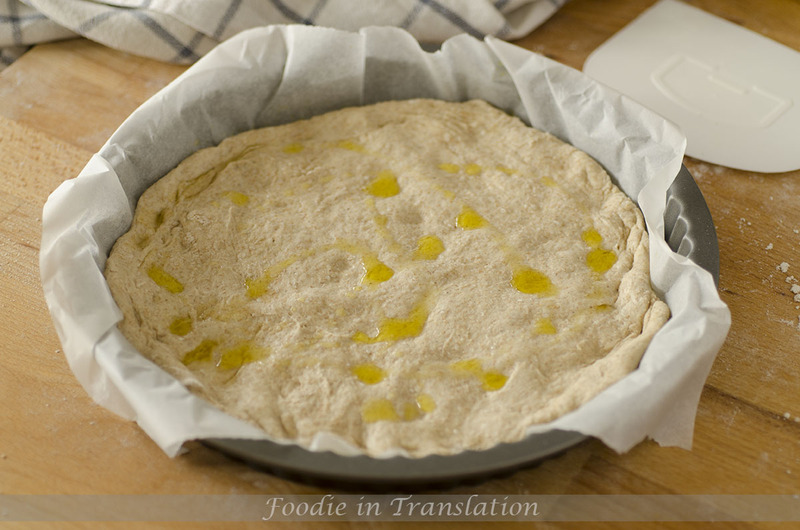 Gently stretch the pizza dough with your fingers on a pan lined with parchment paper, season it with salt and a drizzle of olive oil et let it rest again for another hour. All you have to do now is topped the pizza with whatever you want! !